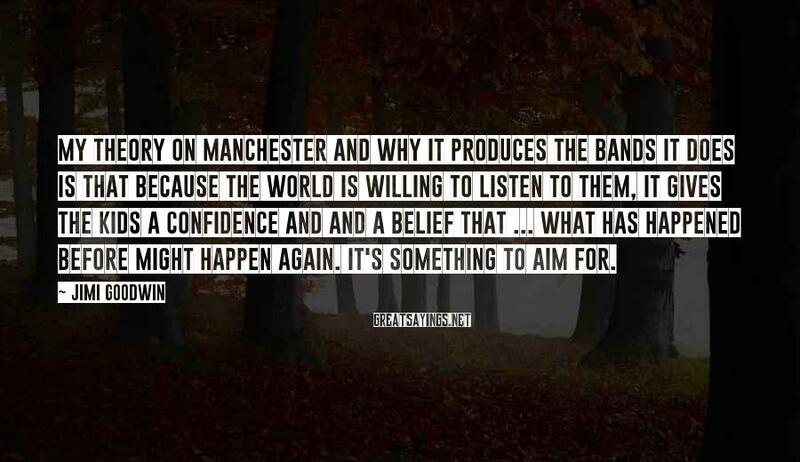 2 Jimi Goodwin Famous Sayings, Quotes and Quotation. The name came from, erm ... us all just agreeing on a name that we liked. 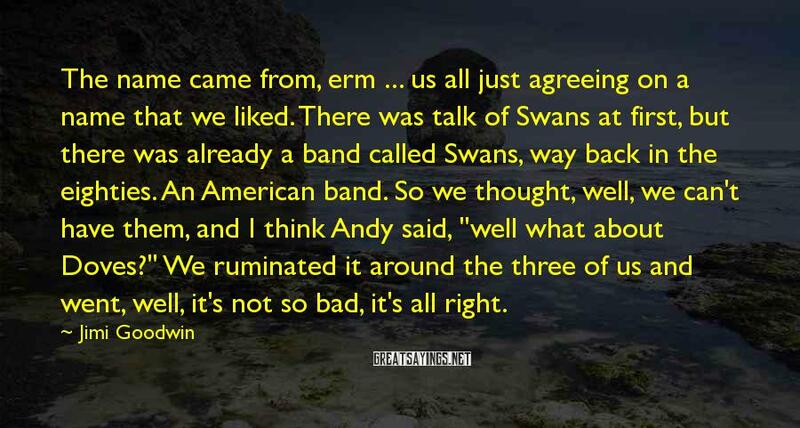 There was talk of Swans at first, but there was already a band called Swans, way back in the eighties. An American band. So we thought, well, we can't have them, and I think Andy said, "well what about Doves?" We ruminated it around the three of us and went, well, it's not so bad, it's all right.